Mimi has is a recipient of an award from the Matt Carey-WIlliams and Danny Roark fund, a generous donation by one of our alumni that allows our undergraduate students to apply for bursaries to cover costs of travel, accommodation etc., to enable them to undertake internships, work experience and placements. More information on University bursaries can be found here. During the third week of my first year, an email was sent out to History of Art students regarding an opportunity to work as a saleroom assistant at Biddle & Webb Auctioneers. Having experienced freshers’ week and the full cost of enjoying university life, I was keen to take on some part-time work. This opportunity seemed perfect, not only providing some extra pocket money but a chance to be trained in a field of work relevant to my degree. In fact, it seemed too good to be true, but I emailed in a CV and covering letter, not really expecting to hear anything back. To my surprise, a week later, I received a reply saying that I had been shortlisted for an interview. The interview process was informal, the applicants were asked questions as a group and shown the basics of what we would be doing day to day. We were then asked to write a report on how we would develop their marketing through social media. A few days later I received another email saying that I’d got the job! To anyone at university who is considering applying for their first job, even if the application process is long and stressful, it is definitely worth the effort! And even if you aren’t successful (as has been the case for me on several other occasions), it is good practice for other opportunities you will go on to apply for. One of the best things about working at Biddle & Webb is seeing the amazing pieces of history we sell – this ‘Votes for Women’ sash belonged to a suffragette from Birmingham and was sold in our May sale! Biddle & Webb is a Birmingham based auctioneers which sells antiques, paintings and jewellery, as well as wine, property and commercial items. It is a family run organisation which was established over 60 years ago. One of the first things you notices as you enter the building is the relaxed atmosphere of this professional environment. Everyone is polite and happy to answer any queries you may have. As a new employee, this settled my nerves and made me feel comfortable working there very quickly. Another student on my course was employed alongside me and being trained together made the experience a lot more relaxing and fun! After settling in I was kitted out with uniform, including various fleeces (as the sale room gets very cold during winter!) making me feel an official part of the team. I was also given steel toe capped boots which, although practical, are extremely heavy and therefore a struggle when walking to Selly Oak station, half asleep at 8am on a Saturday morning! My principle role is working as a trainee antiques cataloguer. I am learning how to analyse an antique object visually, identifying details such as its maker, its material, the period in which it was made, etc. I then write up a description and upload details of the object to an online catalogue. As well as antiques, I have catalogued paintings and wine. When I started, I was thrown into the deep end, contributing to antiques cataloguing from my first day. Although at first a daunting task which required a lot of guidance, I soon got to grips with the basics and can now confidently catalogue a lot of items without assistance. My passion for studying art objects has developed further through this training and has encouraged my interest in undertaking post graduate study. I also have to opportunity to observe valuations carried out by more experienced colleagues and complete administrative work for them. This is helping me to gain a better idea of how to value various types of antique objects and to understand changing trends of popularity in the antiques world. On auction days, which occur on the second Saturday of every month, I operate the online auction system, either on thesaleroom.com or on Biddle & Webb’s real time bidding server. Through this role I have developed the ability to work well in a fast-paced work environment. Also, often I am given a large amount of lots to catalogue in a short time space, which has certainly made me more diligent and I enjoy being busy. The work I’ve been doing is also relevant to working in a gallery as I have learnt how to lay out the sale rooms in a way that is accessible for customers and I’ve become interested in how the way that objects are arranged in a room can enhance the viewer’s experience. 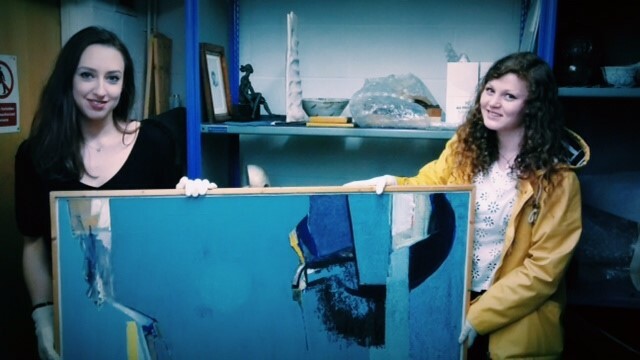 In the future, I would like to become a specialist in antiques or painting so I could combine my passion for history of art, the knowledge I have gathered through my academic study, and the skills I have learnt at Biddle & Webb. 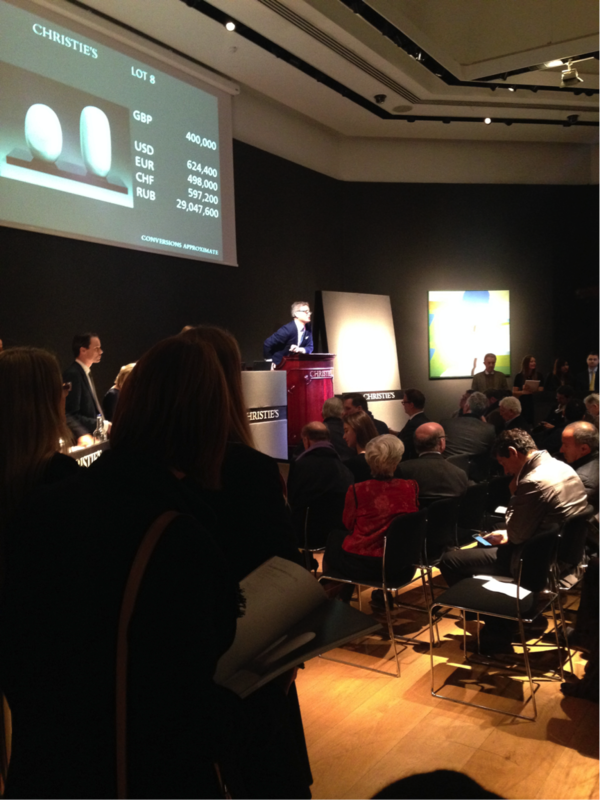 I would particularly like to work in a high end, international, auction house, where the work environment is fast-paced and exciting, such as Christie’s or Sotheby’s. I feel very lucky to be doing part-time work which is relevant to my degree as it has helped me to gather and nurture my interests, through the wide-ranging roles I undertake. I feel it has opend up a number of career paths in the art world. To anyone daunted by taking on work, whether it be to earn some money to support university life, or to gain relevant experience, I would say don’t hesitate, it will be worth your time. You’ll develop invaluable skills that you will use throughout your professional life, and hopefully enjoy it too! Over the course of my second year I became very conscious of the fact that I wanted to gain more experience in the art world and at art institutions. I heard about the Bold Tendencies Art Trainee Internship through the History of Art department around February when I had already done lots of thorough research on the opportunities available to me. So, the first piece of advice I can give is that there is always more out there than what you have already found, so don’t be disheartened if you have yet to find work experience or internships! Although there were some immediate challenges surrounding the opportunity – namely that it was unpaid and in London – I still put in my application in the hopes that I would be accepted. In the meantime, I began to research the University’s bursaries and funding and work on my application. I found out about the Internship Bursaries that the Careers Network provide, and went to a workshop and presentation about them which I would also really recommend as they give you tips on your application. It was a long process that included an application, a presentation and an interview, but it was absolutely worth it. You can even put in an application before you have a secured place at your internship. There are so many resources in the Careers Network that are of use to students – you just have to go looking for them. Their bursaries for unpaid or low-paid internships are a fantastic opportunity to go and do for experiences you wouldn’t have previously thought you would be able to do.I was able to do this internship because of the help I was given from the University. The organisation I interned at, Bold Tendencies, is based in a multi-storey car park in Peckham in South East London. As a not-for-profit arts organisation they provide many different things for the local community. On the rooftop there are sculptural installations across the two floors. They also have a wide and varied events programme which includes the resident orchestra Multi-Story, and education initiatives working with local schools and families. Every year they commission new artworks for the site, some of which become permanent installations. This year their most popular commission was an installation by a contemporary artist called Simon Whybray: he transformed the entrance foyer and stairwells of the car park by painting them bright pink. There are other installations on site by contemporary artists such as Richard Wentworth and Adel Abdessemed. There is something quite different about volunteering a day a week (or less) to an institution to having the opportunity to work three or more days a week, over an extended period of time with the same team, getting to know everyone at an institution. While I had learned a lot from volunteering at other galleries on an ad-hoc basis, this was an entirely new experience. I got to know everyone far quicker; people remembered who I was (especially when I went the extra mile! ), and I got a far better sense of how a gallery is run on a daily basis. Internships and volunteer work usually entail the work that others don’t have time to do, or perhaps the more menial tasks. But this is what you are there for: to be helpful. In return you may get to help with more complicated ventures or plans but you have to prove yourself first. I had to do a variety of things during my time at Bold Tendencies, some more exciting than others. I worked on the front desk, greeting visitors and talking to them about the artworks and the events programme; I would help set up the site and the installations; I completed administrative tasks like maintaing the mailing list and invoices; I worked on a film set; during events I would be ticketing and on the box office; and throughout the internship I contributed to the Gallery’s blog, Instagram and twitter. 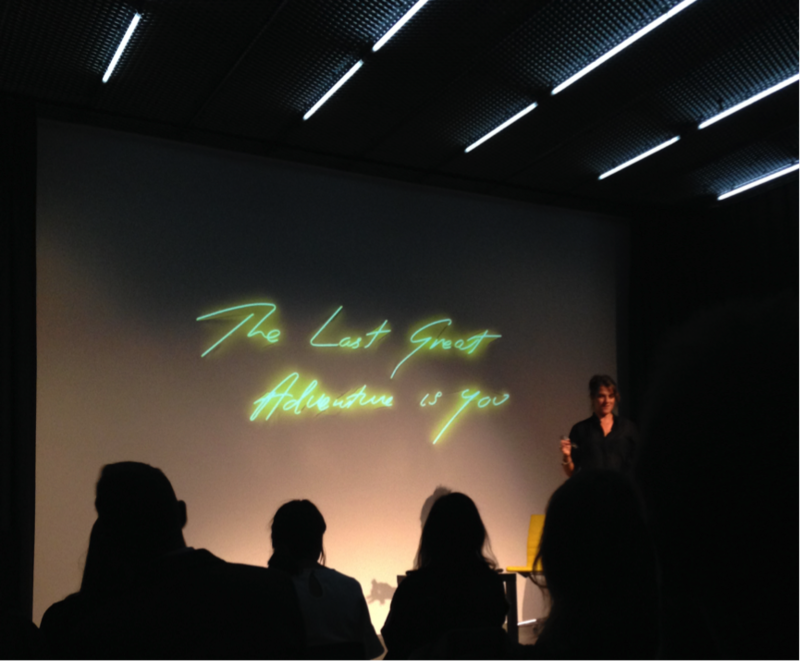 One of the best parts of working for five weeks for Bold Tendencies was all the different people I got to meet, and the lectures that they organised for us. I got to meet professionals in different roles in the industry and get a better insight into all the different roles that exist in the industry. I was given advice and inspiration by all the different people I met and it was definitely one of the highlights because it gives you hope for your own future career goals. Because I had expressed an interest in education in galleries, I was asked by the director of gallery to stay on a bit longer and help with a project with the Head of Education. The gallery was having an event at the end of the season to announce their new charity status and to present their past education initiatives. These initiatives, the new charity status and their future ambitions, were all published in a ‘Prospectus’ and I was given the role of ‘Prospectus Coordinator’. Through this I got more hands on experience with coordinating a project and learnt a lot. To me this proves that any experience is what you put into it: I worked hard during my time there and ended up being given more responsibilities as a result. The Bold Tendencies Art Trainee Programme is an amazing opportunity to immerse yourself in a contemporary art organisation, network with people in the industry, and learn and experience new things. If this is something you’re highly passionate about, I could not recommend it more. My experience this summer was fantastic and I made life-long friends in the other interns! Every other year, the Department hosts an Art History Careers Event that is designed to give current students a taste of what kinds of careers will be open to them with their degrees in Art History from the University of Birmingham. This year, we managed to pin down two of the speakers–Dr Jennifer Powell and Becky Peake-Sexton–to record two short films about their own experiences post-University, to tell us a bit about where their degrees have got them. Take a look and below, and hopefully it’ll give you some food for thought about where you might go with your degree(s)! Thirteen artworks, two volunteers, one exhibition. This autumn the Royal Birmingham Society of Artists (RBSA) will present their latest archive exhibition, Abstraction at the RBSA. The show is being curated entirely by two University of Birmingham undergraduate students, Tate Gronow and me, Emily Robins. I’ve been volunteering at the RBSA for a while now, primarily in their archive department. I usually spend my time responding to archive enquiries from members of the public and updating the museum databases, while also researching and organising collection and archive material. In November 2014 I was offered an opportunity that would be the envy of art history students across the country, a chance to curate in its entirety a public exhibition at a prestigious local gallery. It was, quite clearly, an opportunity not to be missed! 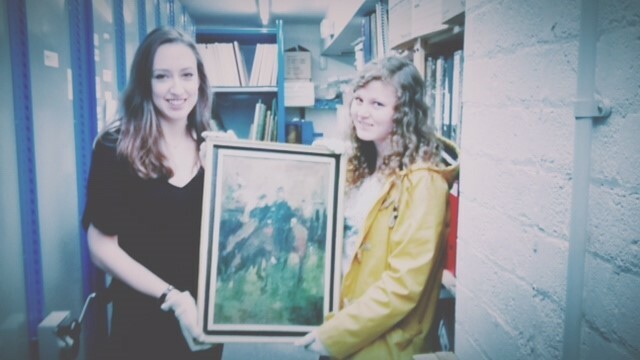 Tate and Emily are pictured here with Joan Woollard’s The Races, which is one of the Artworks up for adoption. Woollard was the first female president of the RBSA. Since January, Tate and I have been working on this rather exciting undertaking. Our chosen theme for the exhibition is ‘Abstraction’ and we began by searching the archive for interesting pieces which fitted that category. We came across a wide variety of works and decided on a roughly chronological approach to the exhibition, charting abstraction as a concept from works in the Impressionist style towards pieces such as Caged Yellow (1996, RBSA) by William Gear, which are fully abstract in their use of line, tone and colour. We were then able to start preparing all the written interpretation needed for the exhibition, including text panels and exhibition labels, as well as marketing material such as articles and press releases. Initially, I have to admit, I was slightly intimidated by the prospect of this project, but find myself facing each new challenge with enthusiasm, continuing to push myself out of my comfort zone. The sheer amount of written material required for the exhibition was something which I found daunting at first, but, I have now come to enjoy this part of the process the most! My eyes have well and truly been opened to the nitty-gritty aspects of curating and all that it involves, and I am relishing the entire experience. The RBSA is first and foremost an artist-led charity, and therefore, fundraising remains a core part of the gallery’s ethos. Without the dedication and support of volunteers and donors, opportunities like this, a chance to curate my own public exhibition, would not be possible. Having worked behind the scenes as a volunteer I’ve been lucky to see some of the treasures in the RBSA’s collection which cannot be on display because of their fragile condition. The Adopt-an-Artwork fundraising scheme helps to restore these beautiful works, so that they can go back on exhibition and be appreciated by RBSA visitors for years to come. Seascape by Norma Rhys Davies, shown here, is in desperate need of conservation in order for it to be included in our exhibition. While volunteer roles often focus specifically on one particular department such as marketing, conservation or education, this project has allowed us to dip our toes in a whole variety of roles. Each week we are gaining new experiences, skills, and insights, not just on gallery practice but the arts sector more broadly. Although it has been hard work I think we can both agree that we’ve benefited from gaining curatorial experience as well as being involved in less familiar aspects, like public engagement and fundraising. Overall, this opportunity is definitely proving to be a fully hands-on, immersive and irreplaceable experience for budding art-world professionals such as ourselves! Of course, Tate and I still have much more left to do over the coming months, including the exhibition install, preparations for our opening private view (watch this space for invites!) and a full events programme of talks and workshops to finalise. Look out for further blogs on the Golovine updating you on our progress! Abstraction at the RBSA opens on the 5th of October. 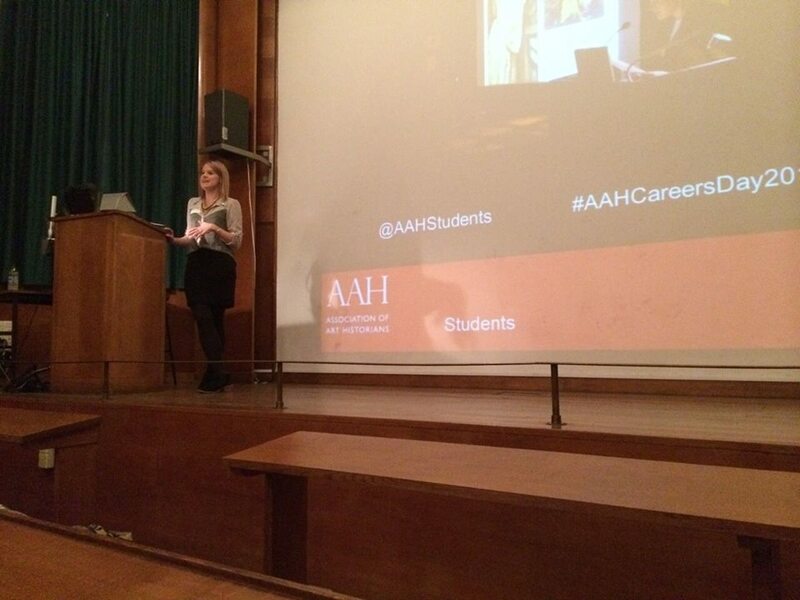 This year the Association of Art Historians’ Careers Day, organised by the AAH student Committee, was held right here on campus at the Barber Institute of Fine Arts, 25 October 2014. This was a great opportunity to listen to the wise words of speakers from a range of arts and heritage institutions without having to travel across the country! The day was split into several talks with the opportunity for informal questions over tea breaks and lunch. The speakers represented a really wide range of careers in the arts and heritage sector. This was refreshing to see as it is easy to assume that arts and heritage is limited to museums and galleries. Here, I felt that a wide range of interests had been taken into account. For example, the first speaker was Reyahn King, Head of Heritage Lottery Fund West Midlands – I found her talk particularly interesting as, recently, I have become more interested in pursuing a career in the protection of historic buildings. This is a sector that can appear quite confusing as organisations range from government funded bodies to charities and trusts. Also, there is a distinction between practical conservation and those who manage the strategy and policies. I found Reyahn’s talk very useful as she gave details on her first roles after graduation. Reyahn gave a very positive message to reassure undergraduates, explaining that she did not take the obvious route to work at HLF, but that this was completely fine as you can experience different areas of the sector and still be gaining skills that can be used elsewhere. Alex Jolly, Learning and Access Assistant at the Barber Institute of Fine Arts, gave us an insight into the roles involved in a museum’s education department. As well as giving a detailed view of the strategy behind making the collections accessible and enjoyable for a wide range of people, Alex gave some helpful general advice for job searching in the sector. I picked up some new websites for searching for job opportunities, for example Engage.org and National Museum Directors Council website. Alex also stressed that when applying for those first jobs after graduating you should not be afraid to apply for a role if you feel under qualified, as it is enthusiasm and ideas that count. 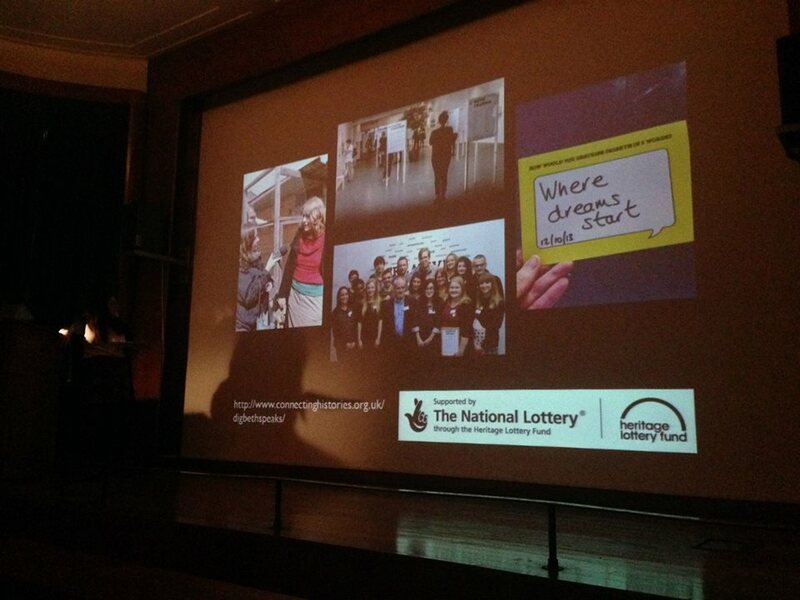 Hannah Carroll, a former History of Art student at the University of Birmingham, explained the day-to-day tasks involved in her role as a Marketing Officer at Birmingham Museums. Hannah encouraged students to volunteer as much as possible to gain a sense of what each role entails and what you would be most suited to. This was important to Hannah as she had never seen herself going into the marketing side of things until she gained that practical work experience. 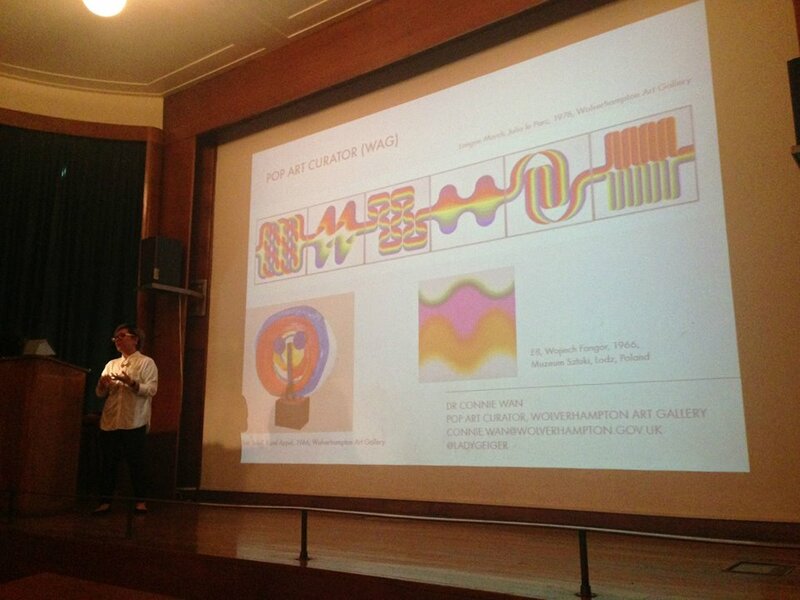 For those looking ahead to a career as a curator, Dr Connie Wan discussed her role as Pop Art Curator at Wolverhampton Art Gallery. She gave us details about her career path, including her collaborative PhD, before explaining her role as a curator. Connie explained that, although the common belief is that a curator ‘points and chooses’, there is, in fact, a whole host of other activities involved in her role: for example, travelling around the world to carry out research in different archives and building relationships with contemporary artists. Connie started out studying graphic design and moved on to research nineteenth-century art before her role as Pop Art curator. She encouraged us to see our lack of knowledge in certain areas not as a hindrance but, rather, an opportunity to learn. I think these words were definitely a reassurance to all students in the audience! 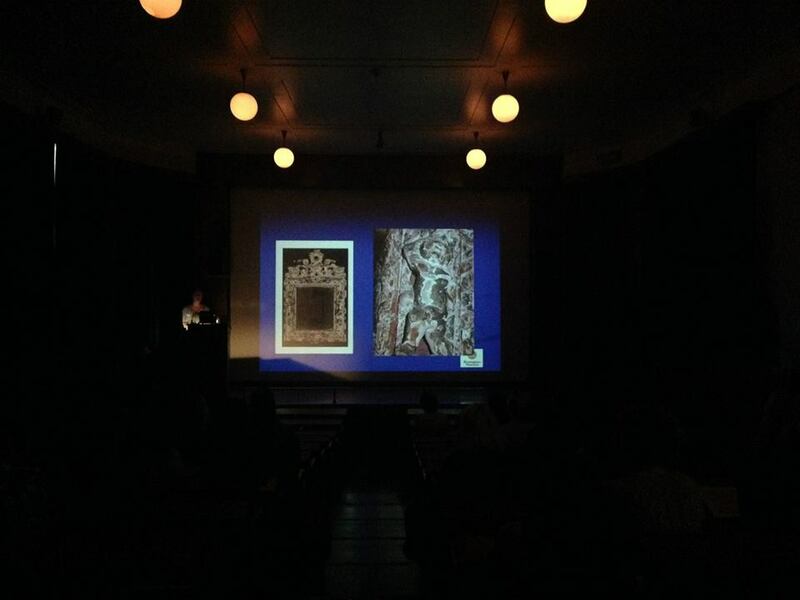 The day also included a talk by Carly Hegenbarth, a History of Art PhD student at the University of Birmingham. 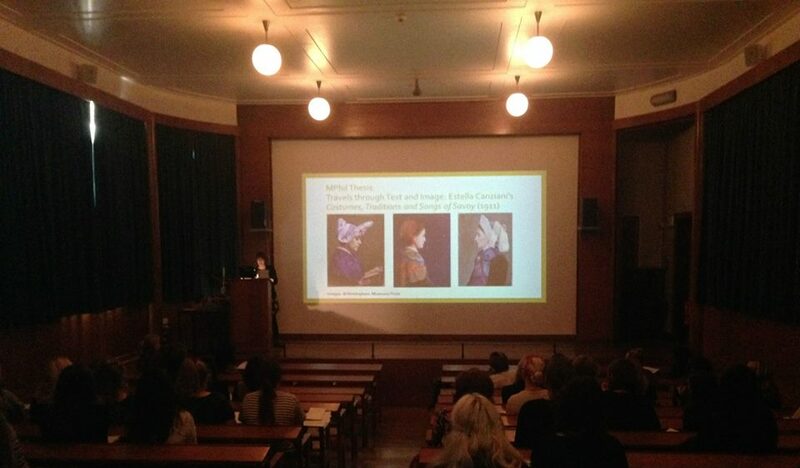 She presented the academic side to careers in the arts and gave a detailed view of the work involved in further study. Carly’s talk emphasised the rewarding nature of doctoral research in discovering new knowledge, as well as the opportunities to get involved in activities outside of your own research. For example, Carly managed a HLF-funded oral histories project, Digbeth Speaks, in 2013. 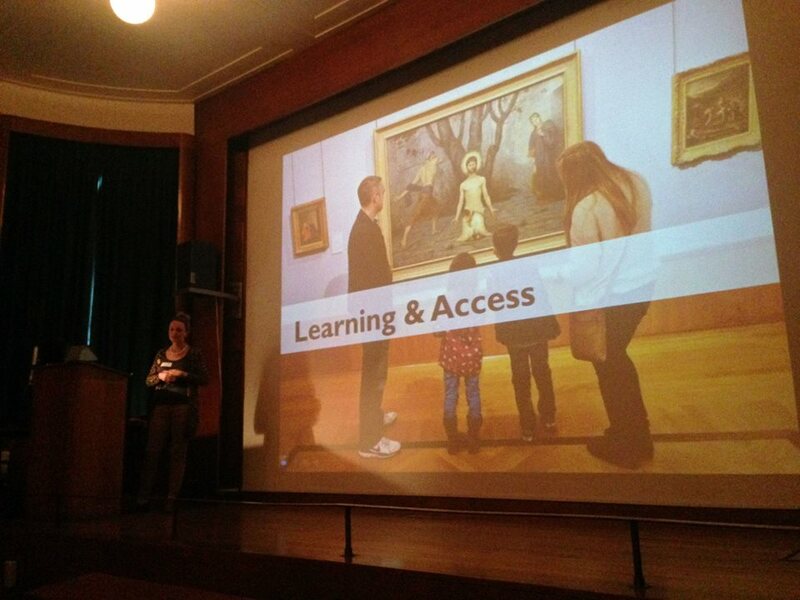 The more practical side to museums was presented by Jane Thompson-Webb, Conservator at Birmingham Museums. Jane began by giving us a detailed account of the different types of work involved in caring for the collections and then gave examples of the projects that she had undertaken, showing the astonishing results with ‘before and after’ photos. Jane described the different career paths available for those interested in a future in conservation, from university postgraduate courses to apprenticeships. [To find out about the current volunteering opportunities at Birmingham Museums with the Conservation department, click here]. To close the day Chris Packham, Careers and Employability Consultant for the Careers Network in the College of Arts and Law at the University of Birmingham, gave us some tips on networking and keeping up to date with what is going on in our chosen fields via Twitter and LinkedIn. I would like to thank all the speakers for a very informative day with lots of advice and tips for starting out with job searches and applications. I also really appreciated the positive outlook that all the speakers had for our prospects as History of Art graduates. 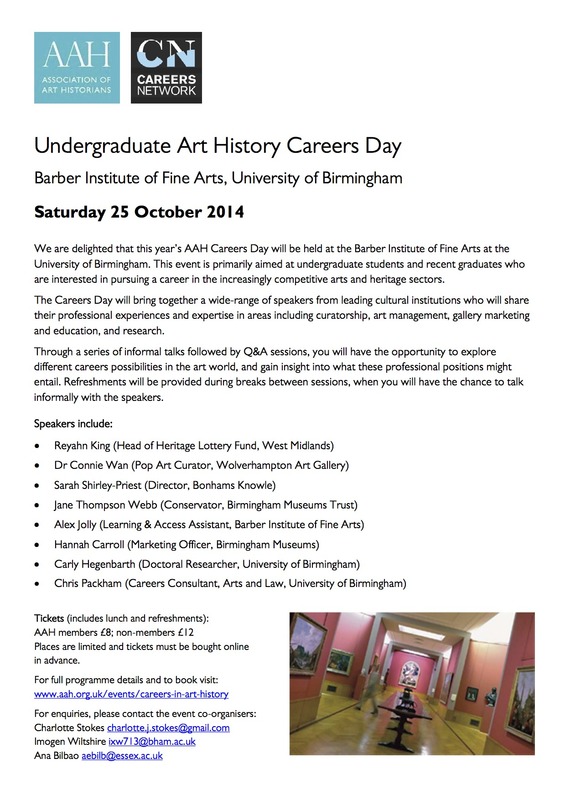 We’re delighted that this year’s Association of Art Historians (AAH) Careers Day is taking place at our very own Barber Institute of Fine Arts, University of Birmingham on Saturday 25 October. The event will introduce a range of careers opportunities which are available to art history students. There will be a series of informal talks by speakers from leading cultural institutions who will share their professional experiences and expertise in areas including curatorship, art management, gallery marketing and education, and research. This event is supported by the Careers Network at the University of Birmingham. After finishing my final year I was lucky enough to undertake a month long internship at the Cadbury Research Library which is the home of the University of Birmingham’s Special Collections and holds approximately 200,000 pre-1850 books and 4 million manuscripts. I had seen the advert through the careers network earlier in the year and I had been using the library during the research of my dissertation, so it seemed like a perfect opportunity for me. I had been interested in rare books and manuscripts during the final years of my degree and the advert mentioned heritage which seemed to fit into other work experience that I had carried out in museums. I realise now, however, that at that point I really had no clue about the work involved in libraries and archives! Throughout the four weeks I learnt an enormous amount about the way libraries and archives differ and I have had a real insight into the role of an archivist, something I am now seriously considering as a career path. The Cadbury Research Library’s Main Reception, The University of Birmingham, Edgbaston Campus, Muirhead Tower Lower Ground Floor. The Heslop Reading Room. Open to students, academics and the public. I was chosen along with Hannah Hickman, a Masters student studying at the Shakespeare Institute, to work towards an exhibition and a cataloguing project. As soon as we arrived we were welcomed in as part of the team. 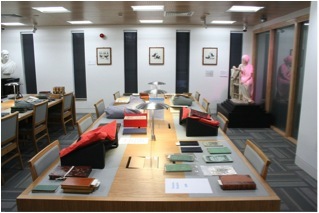 Our supervisor, archivist Jennifer Childs, had organised a very detailed schedule for the entire four week period in which she planned time for the exhibition, cataloguing and sessions with each member of staff. This approach was so refreshing and I really appreciated how she had planned the internship to benefit us instead of leaving us feeling like spare parts. During the internship we worked towards an exhibition for the centenary of The First World War which will open in September and will be placed in the Main Library. Jenny and the team offered helpful guidance and trained us in different skills but we were also given the freedom to determine the nature of the exhibition. Jenny planned the schedule so that we had time to work on every part of the exhibition and we were able to experience all the steps involved, from selecting material and narrowing down a theme to working in the conservation studio with conservator, Marie Sviergula to prepare our chosen materials. We also worked on two digital exhibitions on Flickr and the archive catalogue CALM’s image gallery which involved experience in reprographics and Photoshop. 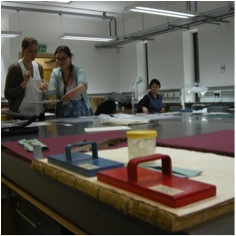 In the conservation studio we discovered that making mounts for photographs is a lot harder than it looks. We were also able to see the work of Hoa, an intern from Melbourne University. Here she is working on watercolours of skin diseases! 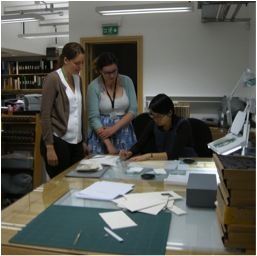 The second part of the internship was spent working with an archivist on a cataloguing project. I worked with Anne George on the Save the Children collection and had the opportunity to sift through the papers of Dorothy Buxton and her sister Eglantyne Jebb, who founded the organisation. The papers, from the early 1920s, were not catalogued and I worked on putting together a more detailed list of items to then catalogue them on the programme CALM. I was trained to use the programme and by the end of the internship I had catalogued just over 500 items! It was hard work looking through folders of small papers and trying to make sense of handwritten scribbles but I found it incredibly interesting. It was a privilege to be able to read through her notes and see history playing out in such a personal way. I really enjoyed making links between figures and events because with every new newspaper cutting or letter I was getting another glimpse into the time period. I also felt very lucky to be able to work with an archivist and contribute to her project. I am so grateful to the team at the Cadbury Research Library for making the internship so worthwhile in terms of the skills gained but also the knowledge I now have of career paths into archives. Each team member was so interested in our plans and offered invaluable advice. I have enjoyed working at the Special Collections so much that I plan to continue volunteering there during my MRes course starting in September. Our exhibition, ‘Rest and Recreation: volunteering during the Great War’ opens September 4 in the display case in the Main Library foyer. Cultural Internships 2014-15: an opportunity not to be missed! Are you a UoB graduate looking to gain experience in the cultural sector? Then look no further, applications are now open for this year’s Cultural Intern Scheme, so get yours in now! For more information on how to apply go to the Cultural Internship webpage, the deadline for applications is 21st July 201 4. Having benefited from being a Cultural Intern, I can thoroughly recommend applying for this fantastic scheme, if you would like to read about my experience at Birmingham Museums Trust, see my post here. 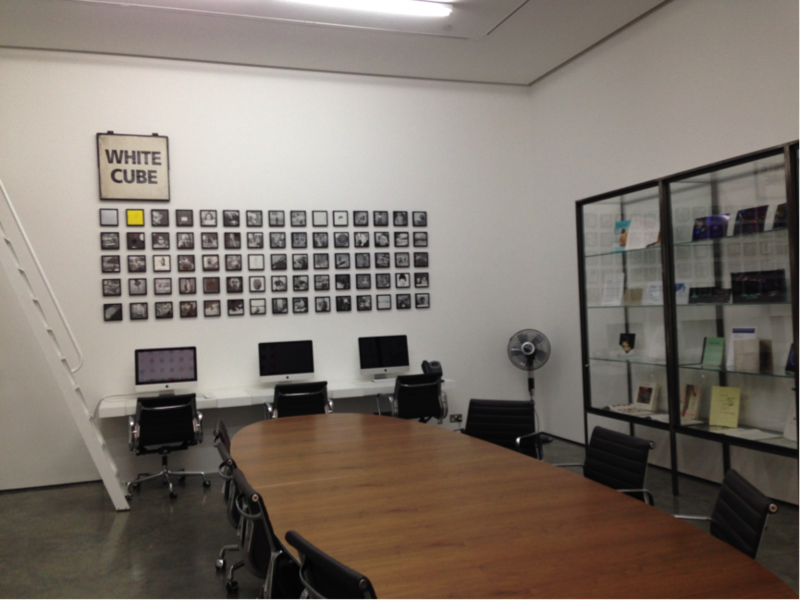 Read about some of the other interns’ experiences on the UoB Culture blog. Good luck to this year’s applicants! Women and artistic culture is a very interesting and well-formulated module. 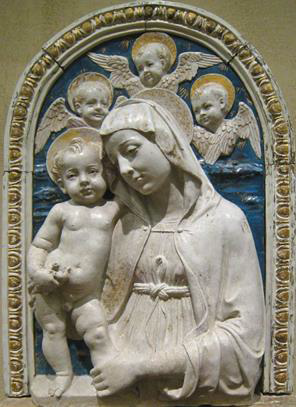 It has given me a new perspective on medieval art and culture as it draws upon the recent growth of scholarship on women as active subjects of the period. In lectures and seminars we are encouraged to look at art critically and I have been able to see images in a new light. Instead of rewriting past historians’ views we are able to develop our own, through carefully chosen reading lists that enable us to apply contemporary writing on gender to the medieval period. The module has also helped with my dissertation as it has given me a more in depth understanding of the medieval period and it has tied in with a module in the French side of my degree on contemporary female fiction. I have enjoyed the module as it is not limited to one type of art or one methodology. 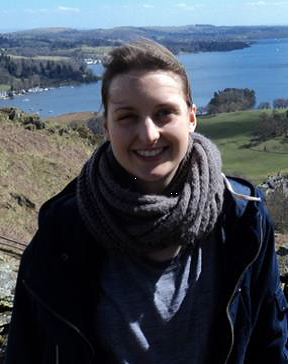 Read Holly’s post on her research project on a manuscript in Liège here. More posts to follow from the undergraduates, so watch this space!